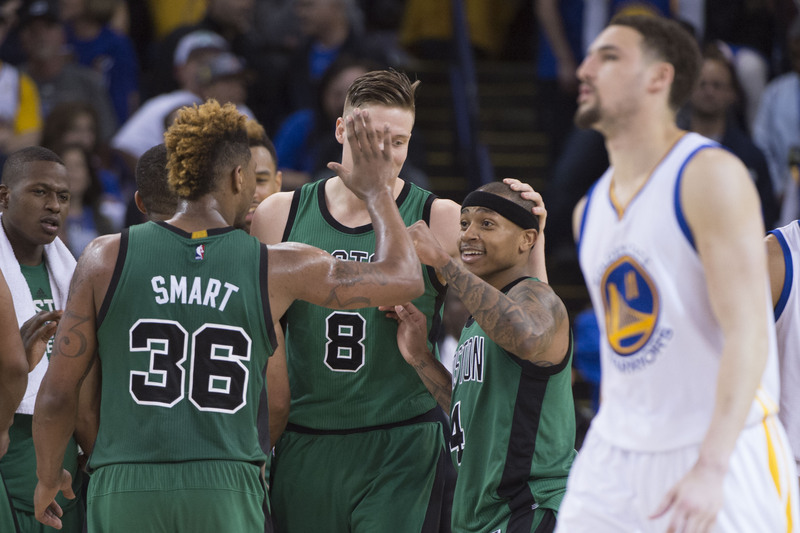 The Celtics take on the NBA’s Supervillains Friday night as the Golden State Warriors come into TD Garden. The C’s were one of the few teams in the league that gave the Warriors any sort of trouble in their historic 73-9 run in last year’s regular season. After starting the year a remarkable 23-0, the Warriors came to Boston on December 11th of last year and were pushed to their limit by the young Celtics. They managed to a squeak out a 124-119 win in double overtime, but were evidently worn down when they suffered their first loss of the season the next night to the lowly Milwaukee Bucks. With these heated match-ups still fresh in the minds of both teams, plus the added animosity that stems from everyone’s new hatred for Kevin Durant, the Warriors will be facing a hostile environment when they take the floor at the Garden Friday night. This time there’s no undefeated record on the line, as Golden State has already managed to lose a couple winnable games despite adding one of the top three players in the world to their already legendary starting lineup. Their weakness is obviously their bench, which is what happens when you spend all your money on stacking your starting five. The C’s might be getting Al Horford back for this one, who could be a difference maker as Golden State isn’t too strong in the paint. He’s listed as a game-time decision. Jae Crowder is still recovering from his ankle injury and is unlikely to play, although the Celtics were without Crowder when they defeated the Warriors last April. They’ve also managed to win three of their last four with neither Horford nor Crowder in the lineup, so I’m not ruling anything out. If you’ve watched the Celtics during the Brad Stevens era, you’ve grown used to anomalies like losing to the worst team in the NBA and beating the Warriors in the same week. I expect Friday’s game to go down to the wire. Tip-off is at 8:10. The Jungle will be rocking.